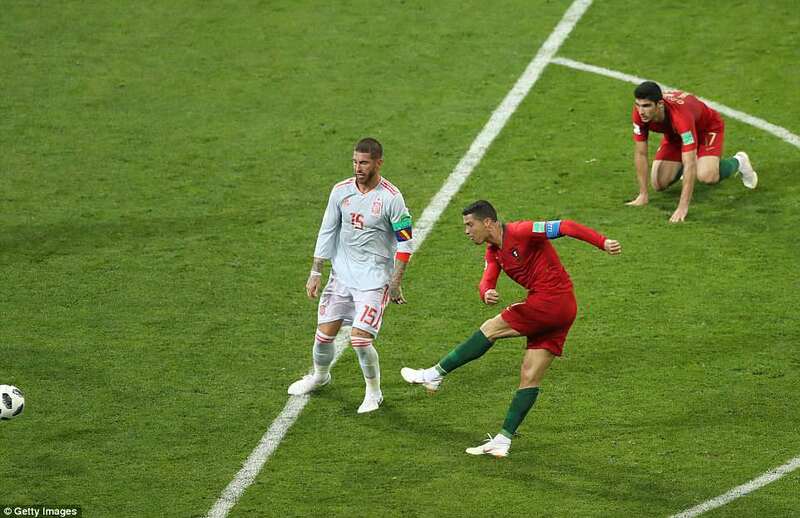 Ronaldo shows he owns the show! He did that thing. Who knows why he does it? Pulled his shorts up to expose those thighs. Maybe he thinks it intimidates. But who? It’s David De Gea in goal. He’s seen thighs before. He’s seen free-kicks, too. But not too many like this, obviously, because he didn’t move. 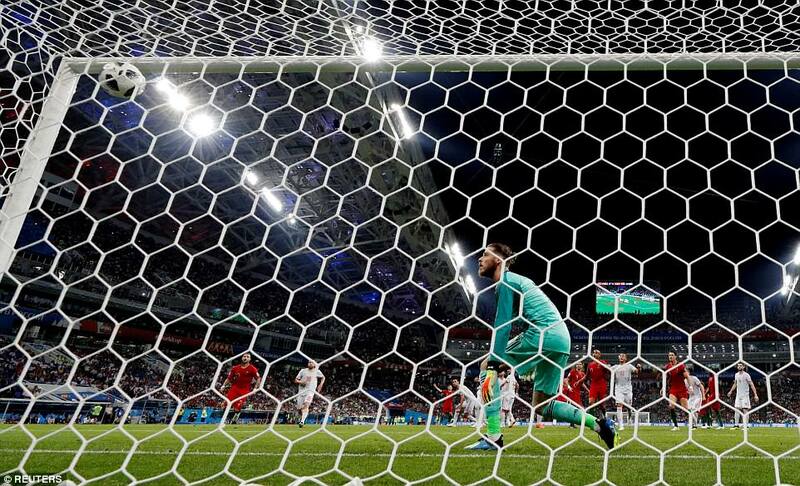 As Cristiano Ronaldo’s free-kick sailed over his wall and into the top right corner, De Gea was no more than an interested observer. What a goal – and what a game. If there are games better than this it is going to be one hell of a World Cup. 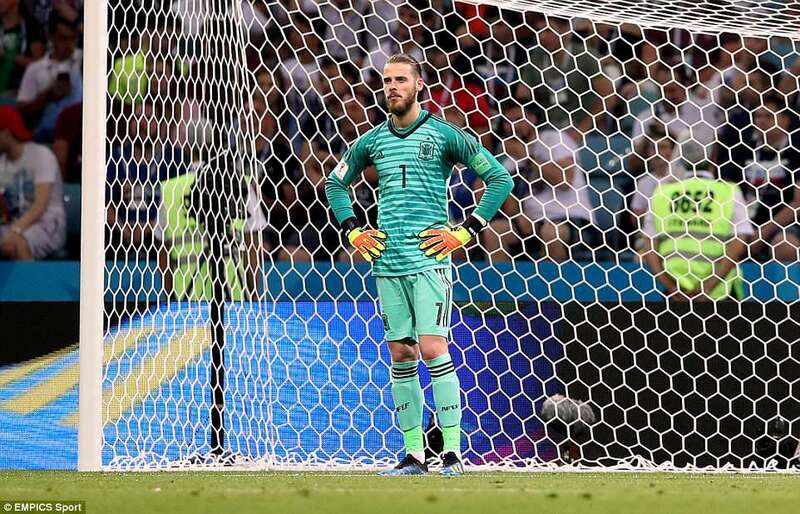 Spain looked like they had won it. From 1-0 down, then from 2-1 down, to lead 3-2. Ronaldo had other ideas. In one game he doubled his tally at the previous three World Cups. What a player he is. It was something of a rude awakening for Fernando Hierro, too. Even so, he’s a lucky man. Managers tend to take over teams in crisis. Facing relegation, probably a poor squad to boot. Yet just 48 hours before the World Cup was due to start, Hierro was handed a quite exceptional group. Incredible talents. Among the favourites. No the circumstances were hardly perfect, but as his old boss Sam Allardyce would not doubt remind him: it could be worse. Friday night proved as much. The draw will have been a disappointment, but there is potential here. Enormous possibilities with an gifted group of players. 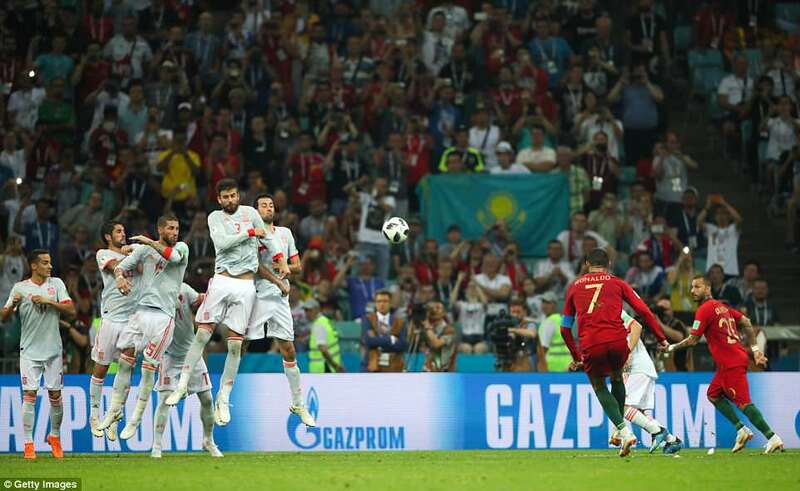 Ultimately Spain were denied by a penalty, a free-kick – both won and scored by Ronaldo – and an error from De Gea. 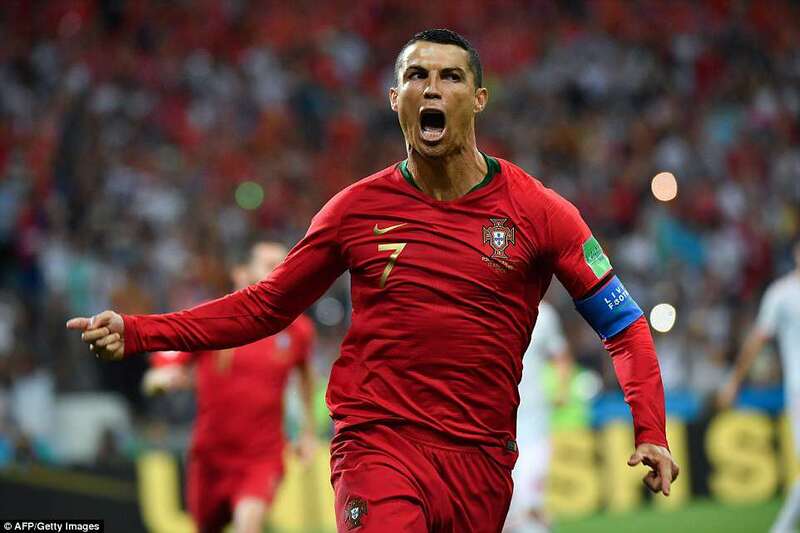 His team were twice behind to the champions of Europe, twice behind to Ronaldo – who became only the fourth player to score in four World Cups – but came back to lead. They scored two goals in three second-half minutes and, in those moments, Hierro could barely contain his joy. He jettisoned his jacket midway through the first-half and stood on the edge of his technical area in his shirt sleeves, instantly at home. Well, who wouldn’t be, with this team? 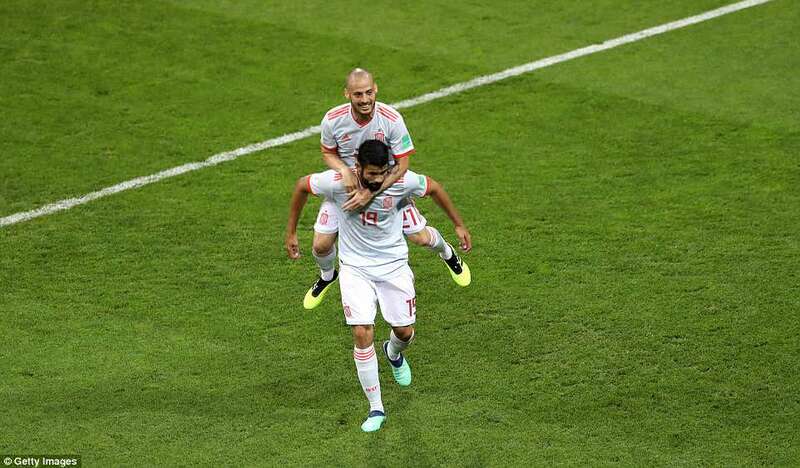 Both Spain equalisers were scored by Diego Costa, the first a magnificent strike, the second the work of a consummate striker. David Silva struck a free-kick to the far post where Sergio Busquets won the header. Costa got there before his markers, simple as that. Stronger and more determined, he stuck out a toe and prodded the ball into the net. The third, however, was a beauty. 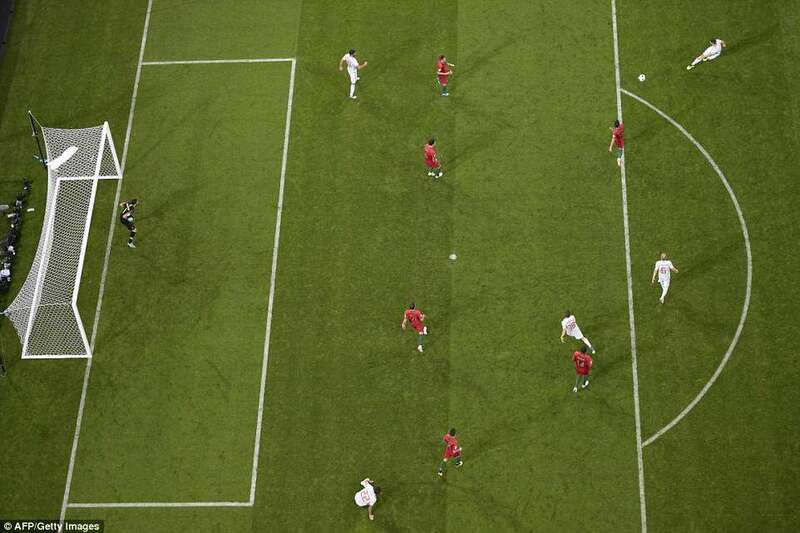 Portugal cleared and the ball fell to Nacho on the edge of the area. It was a hard take, on the volley, but needing to be kept down. 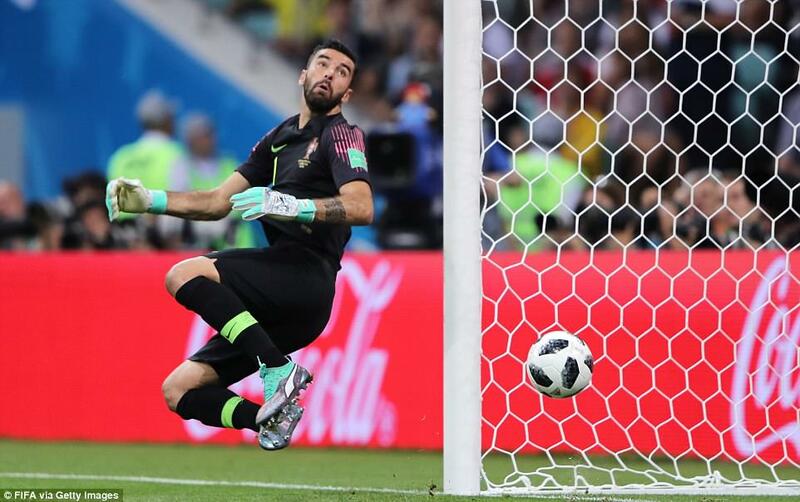 He did it perfectly, the ball striking the inside of Rui Patricio’s far post, crossing along the goal-line and in on the other side. Spain were off, it seemed the turmoil of the last week forgotten. On this showing, no matter the result, they have to be among the favourites, having lulled the rest of the world into a false sense of security. 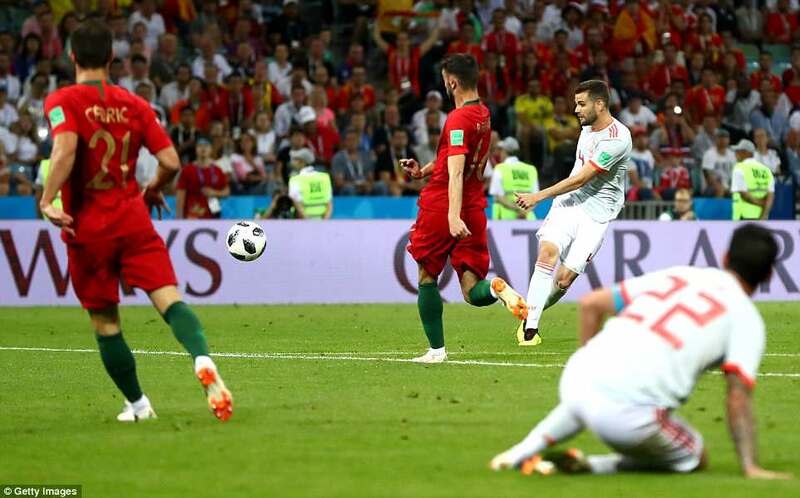 Just two days in, but already a match many would consider worthy of a final, this was a scintillating, ferocious encounter that began with a penalty inside three minutes and didn’t let up from there. 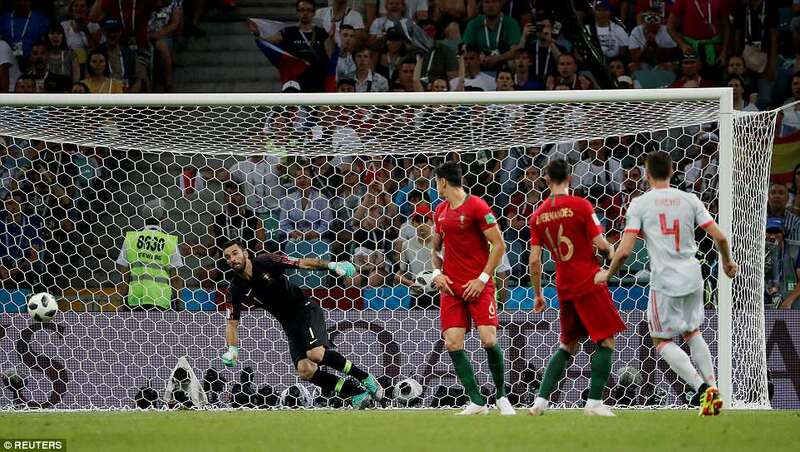 After that, two goals from Cristiano Ronaldo, a typically bruising opener for Spain from Diego Costa, an unlikely mistake from David De Gea, and a shot from Isco that threatened to sheer the crossbar in two. And that was just the first-half. The weather forecast warned of thunderstorms but it would be hard to match the electricity inside the Fisht Olympic Stadium. Here were two teams considered to have a real chance in Russia, going toe to toe. 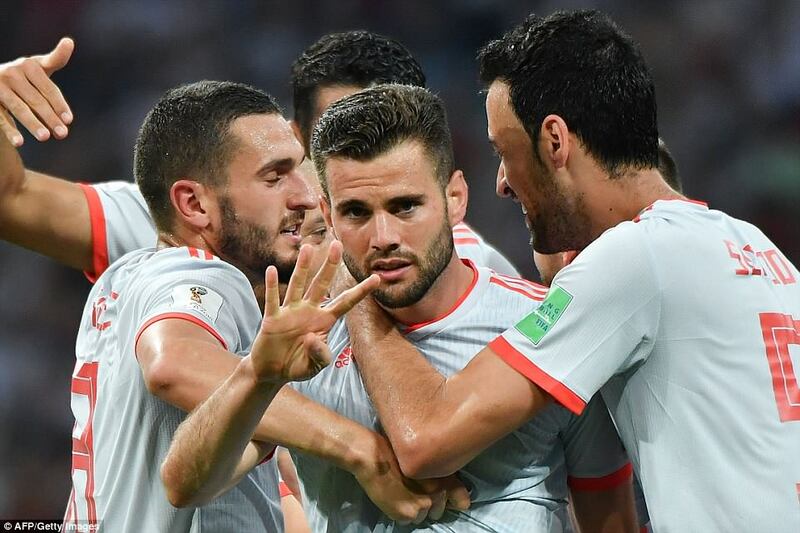 Portugal’s European Championship win has changed them, in terms of confidence; Spain always have the swagger of a stellar group. The upheaval this week is no way to prepare for any World Cup tie, let alone one as testing as this. 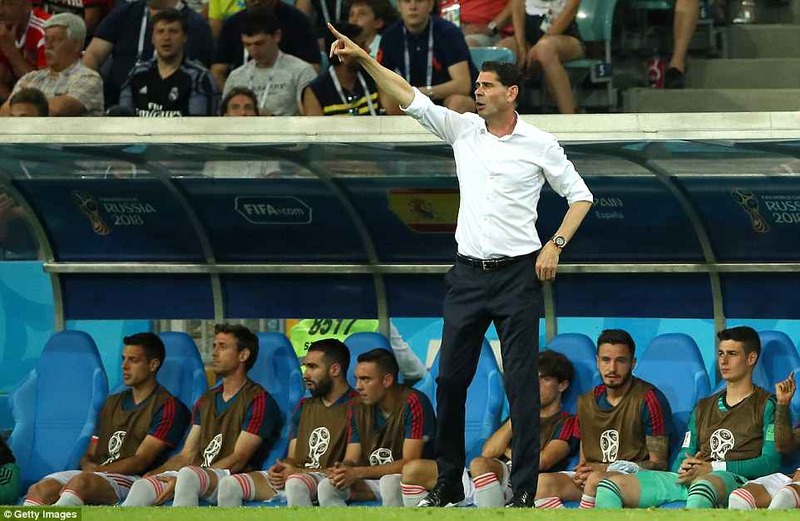 Yet a glance at the team sheet showed Hierro has hardly walked into the impossible job. It read like a who’s who of European football, and included some of the greatest individuals of the last decade or more. Do they even need coaching; or just transportation to the ground? Yet, facing them, was arguably La Liga’s greatest talent of all. 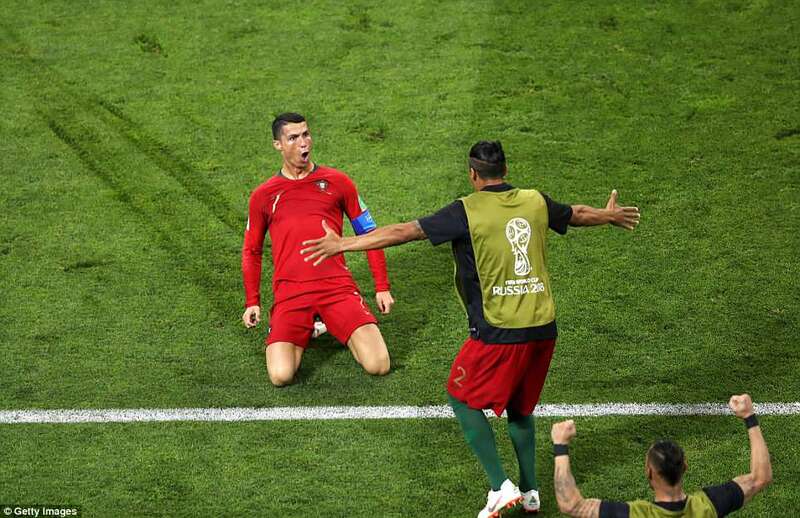 When Julen Lopetegui agreed to swap international for Real Madrid this summer, one of the names he will have most anticipated working with is Portugal’s Ronaldo. Anyone here would understand why. 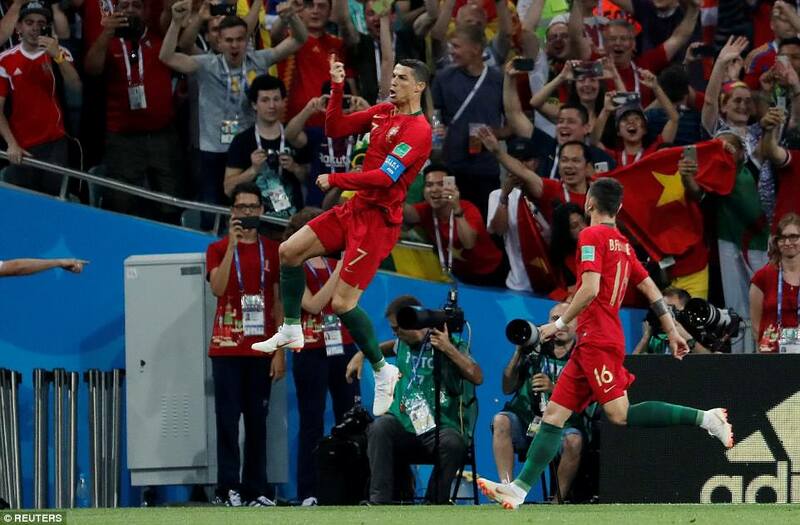 Ronaldo won a penalty, scored the penalty, scored a second and set up a wonderful opportunity for Goncalo Guedes, whose touch let him down. 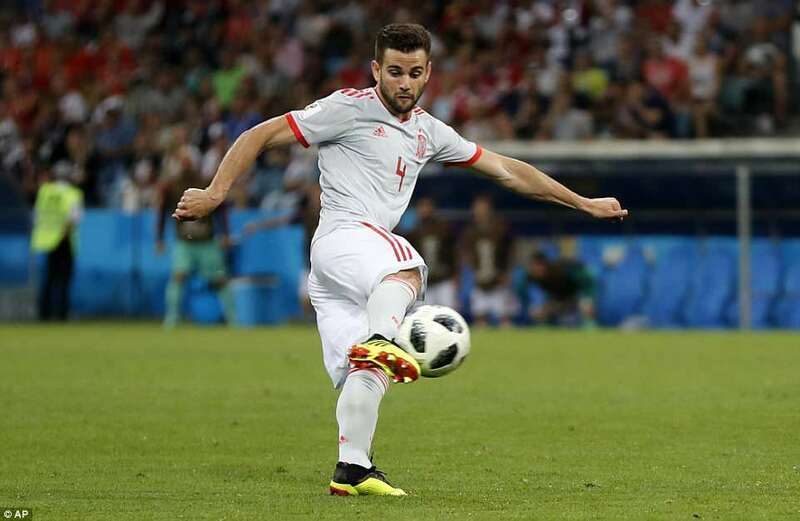 Whenever he had the ball, Spain appeared nervous. 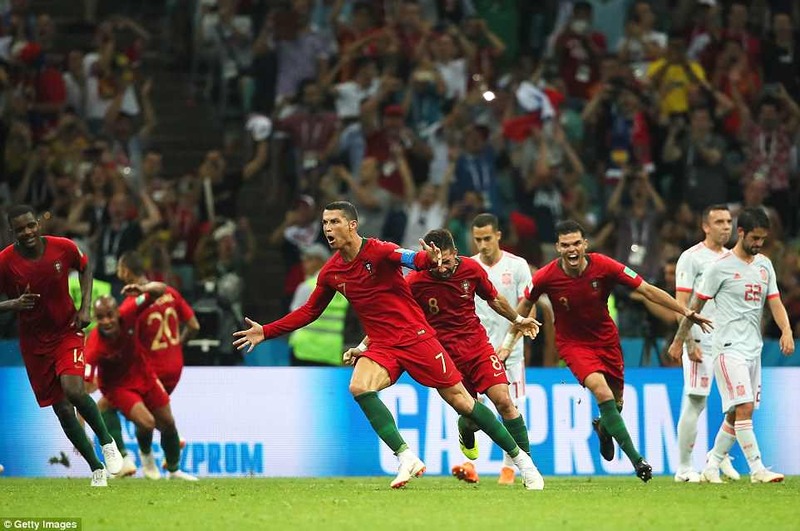 This is more of a collective effort than it once was – and winning the trophy in 2016 with Ronaldo off injured will have done wonders for the confidence of the group – but where Spain are plainly a collective with playmakers to spare, Portugal lean heavily on Ronaldo’s immense quality. His positioning, whether in assistance or looking to finish, is exceptional, his hunger never sated. His legs have gone, apparently, but don’t challenge him to a race just yet. The determination of his countert-attacking sprints remains one of the finest sights in football. 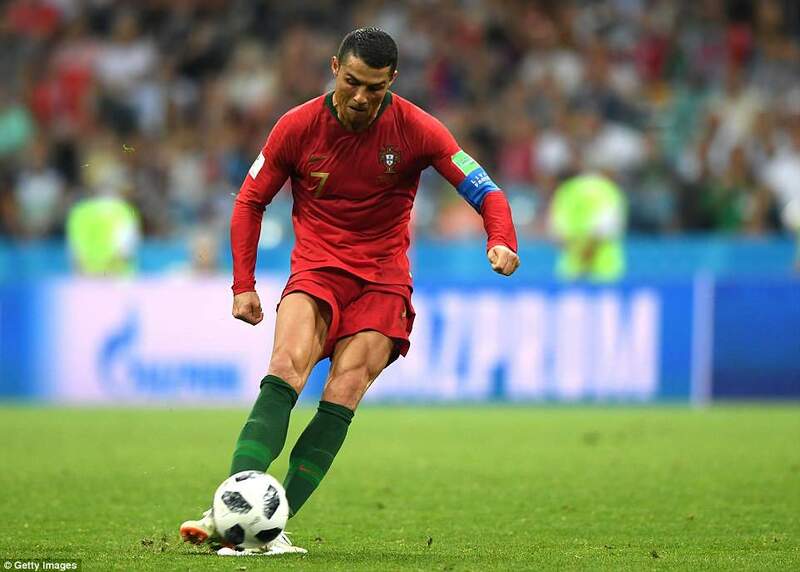 At 33, this may be his last World Cup – but we say that because that would be true of most players, not because he ages like his contemporaries. 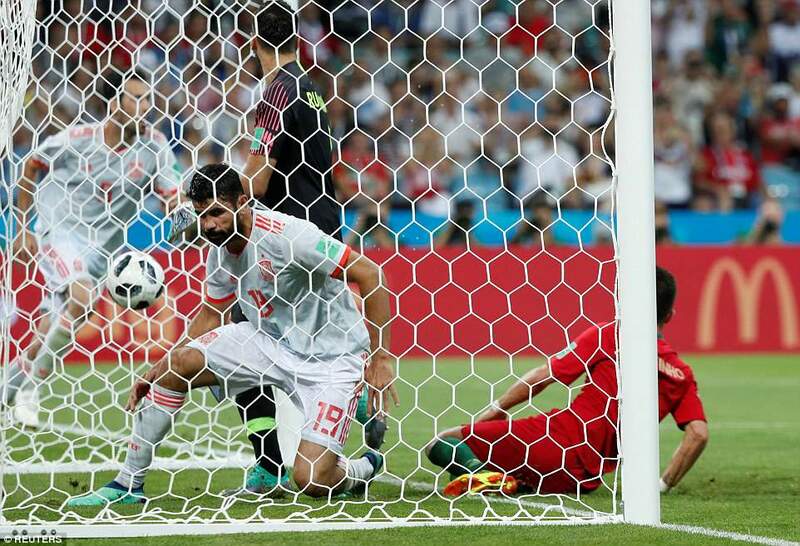 For Portugal’s opening goal, he simply beat his man for pace and drew a clumsy foul. Nacho sticking out a leg, which Ronaldo inevitably fell over. A first replay aroused suspicion, a second gave confirmation. Certainly the extra officials studying the VAR screens were buying it. 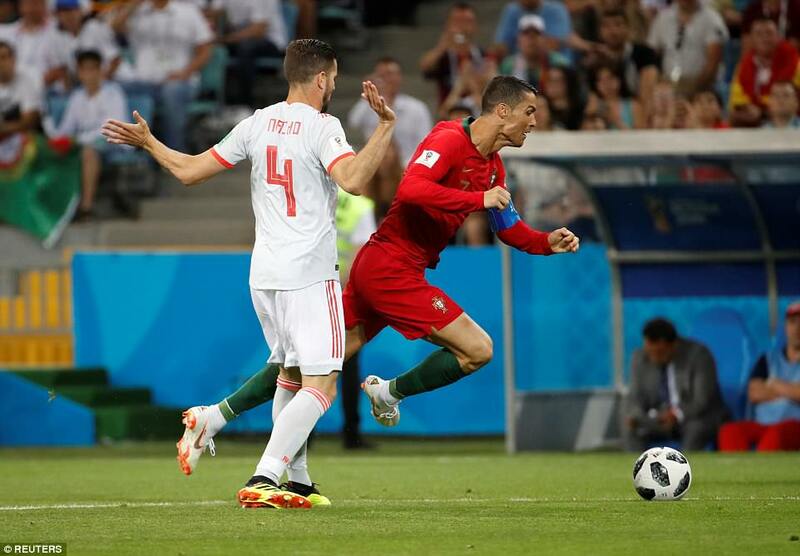 Nacho had tripped Ronaldo, even without nefarious intent. There was only one man who was going to take that kick. 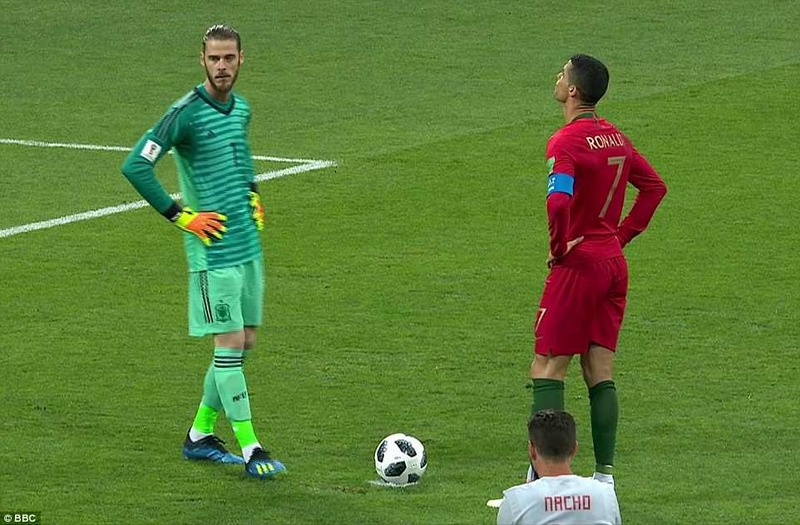 De Gea had a little word before retreating to his place but, whatever he said, Ronaldo shrugged off. 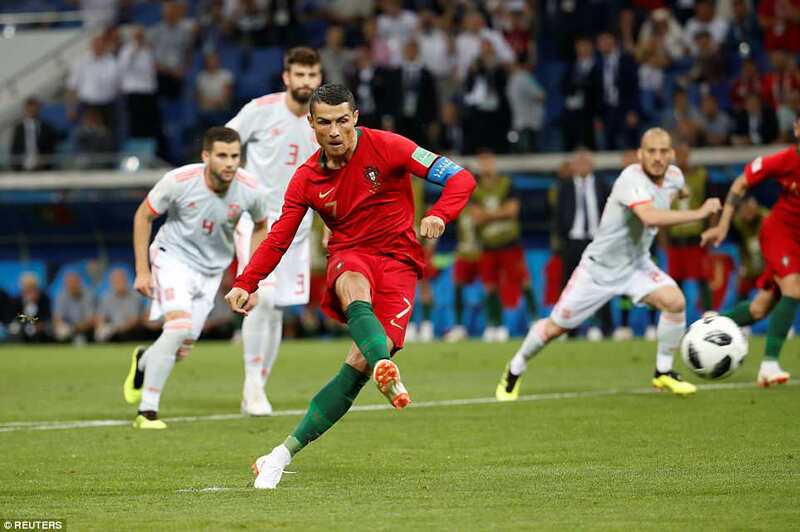 He sent Manchester United’s goalkeeper the wrong way – although even had he guessed right it would be hard to imagine him laying a glove on the ball, such was the power and accuracy of Ronaldo’s finish. Did this daunt Spain, though? No, it inspired them. They came back into the game, the way they know how: keeping the ball, making their opponents work to exhaustion. David Silva should have better with a Costa knockdown after ten minutes, Andres Iniesta had a low shot after 35 that should have resulted in a goal. 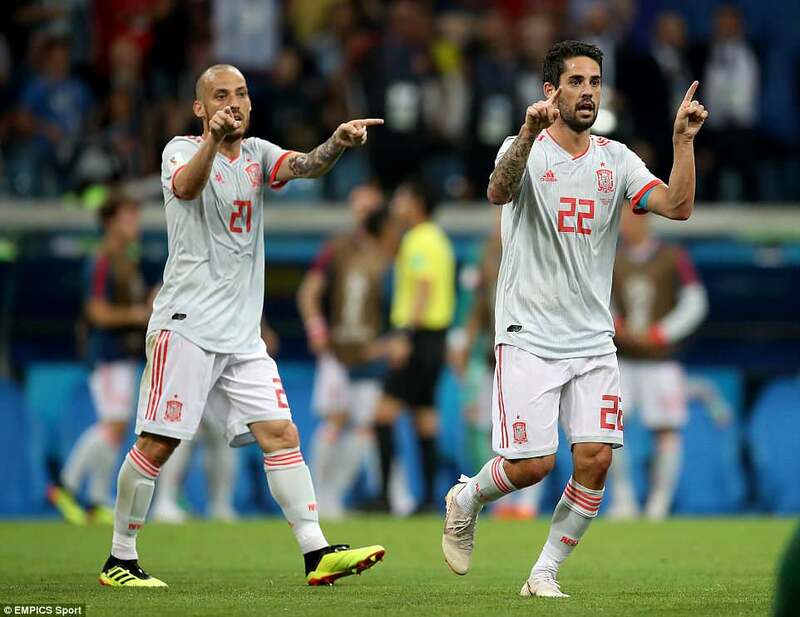 Spain were committing so many men forward that that became vulnerable. 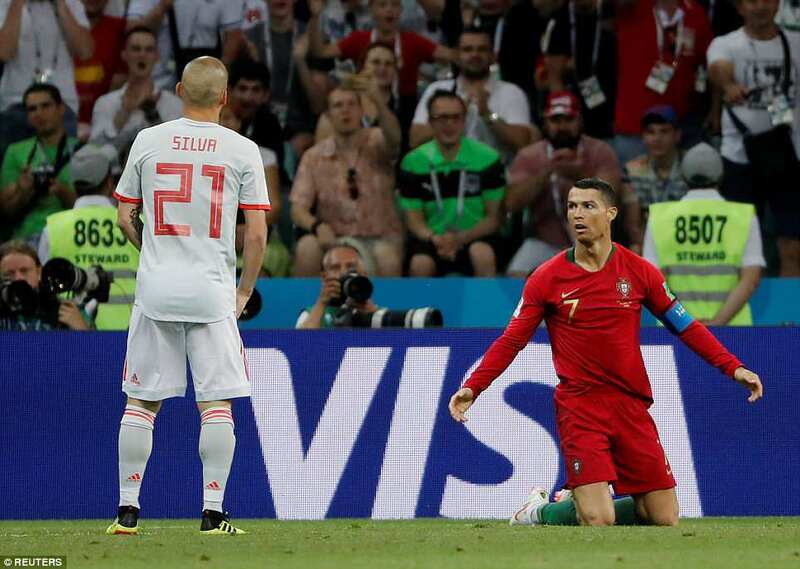 A fabulous break ended with Ronaldo teeing up Guedes perfectly, but his first touch was poor and Jordi Alba averted danger. 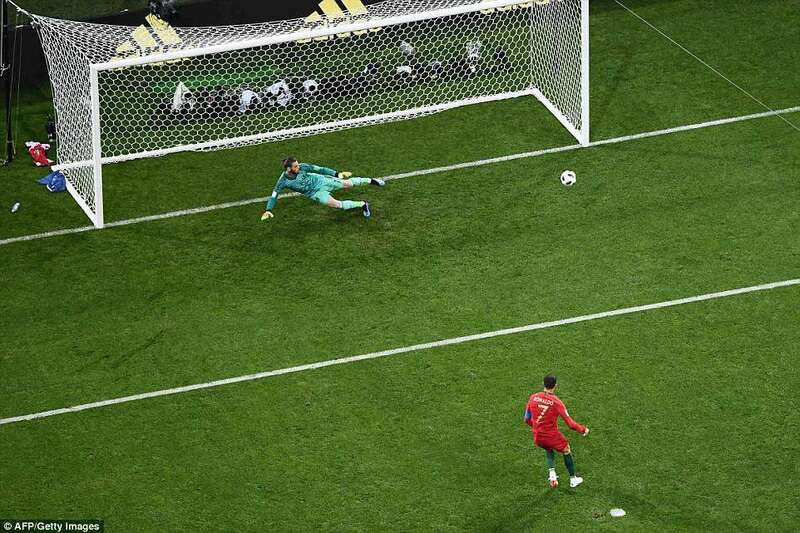 If you want anything done, Ronaldo must have thought, do it yourself. Just before half time, he did. Before that, though, Spain drew level. He is an odd choice Costa, for a team that likes to play so many passes. A wonderful battering ram, how often does he get the service he needs for Spain. 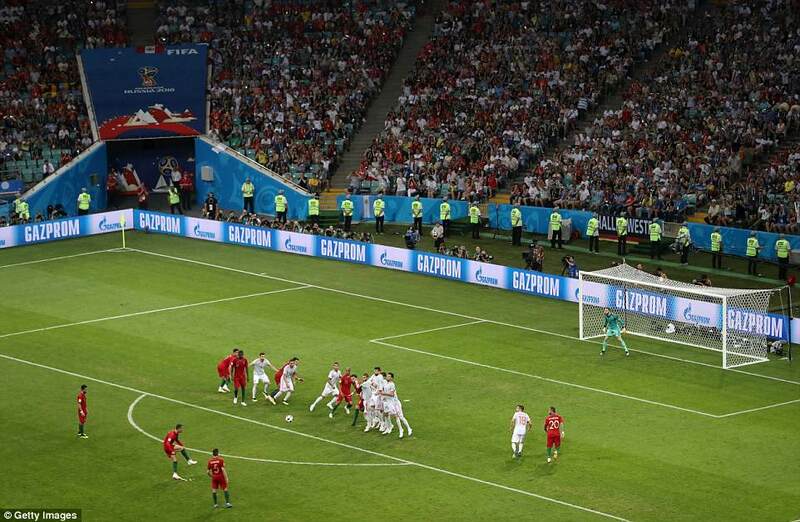 Here was the goal that disproved that theory. 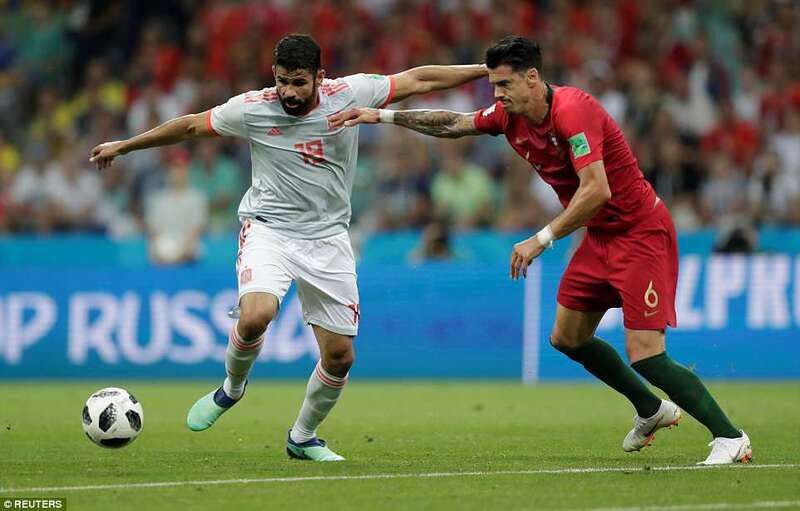 A long ball from Sergio Busquets was won by Costa in a duel with Pepe, who instinctively went down, claiming he had been fouled. Costa played on, so too Pepe’s team-mates. 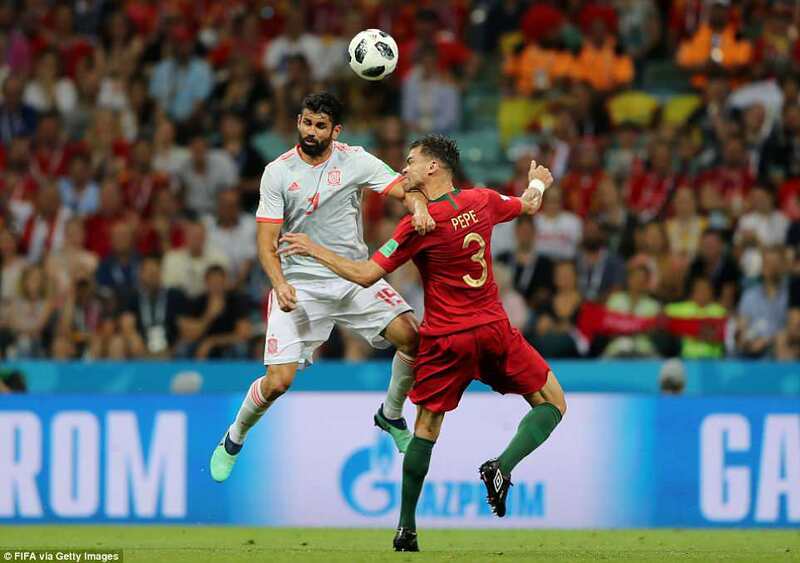 Then it was time for Costa’s softer side, teasing the red shirts, first this way, then that, until striking a lot shot past goalkeeper Rui Patricio. He had a dismal World Cup in 2014. Already, this felt different. 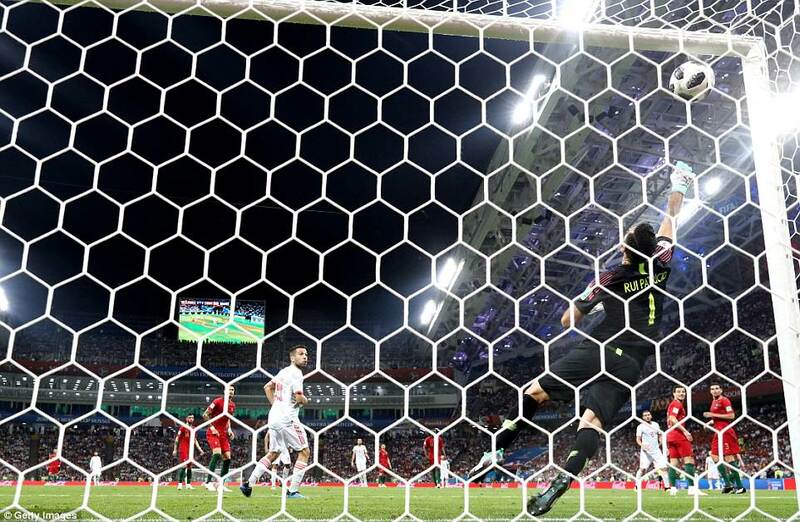 The stars were shining and a minute before half-time, Ronaldo restored Portugal’s lead. 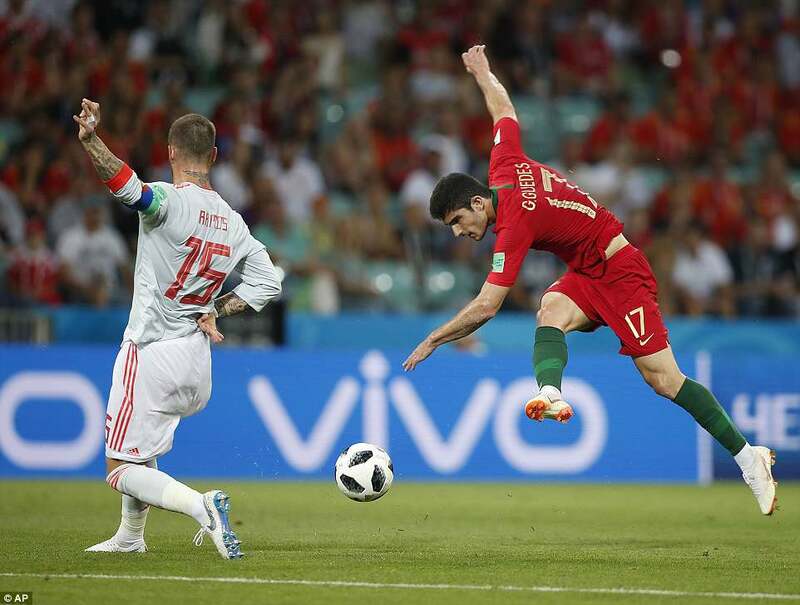 Guedes seemed to get the ball trapped in a tight area and could only push it on to the famous seven. 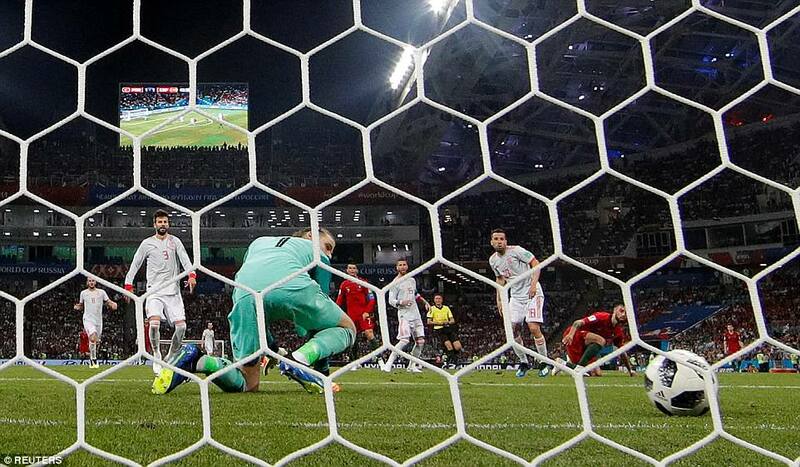 His shot was straight at De Gea, but the pressure of a World Cup is a strange thing, and United’s goalkeeper, so often flawless spilled in at his near post. In one way his club manager, Jose Mourinho, would have been delighted; in another, he really wouldn’t.